A fast and sweet read. Enjoyed the storyline only wished the ending had not seemed so rushed. Apart from that it was a great read. I started out loving this book. I found I could relate to the tender moments how Logan and Lily as couple could bond thru the pregnancy of a child. Those moments brought back loving memories of my own experiences with my husband and our children. This couple relationship has a tug a war from employer/employee relationship to falling in love and becoming a family. They both have pain from previous relationship that they can relate and understand, helping form the bond between them. Logan falls in love with Lily and her baby. 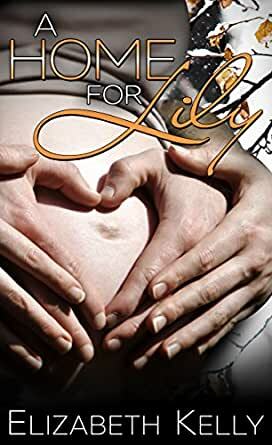 Lily falls in love with Logan and his daughter Hazel. Hazel falls in love with Lily. Hazel repeatedly makes Lily promise never to leave her. Hazel starts calling Lily her mommy. The turning point for me, from loving to liking this book was Lily's betrayal and selfishness. Lily goes behind Logan back and the very thing he ask her not to do she does. He explained previously to her, he was worried and concern for her and the baby safety. When Lily is caught, Logan is rightfully angry. I totally agree with Lily about her in laws, and should have stood up to Logan. But Lily goes to the extreme in the most hurtful way. Everything is Logan's fault she takes his worry and concern as controlling her like her husband did. The only time Logan is apparently controlling is when he feels worried for her and the baby safety with the in laws. She then plays the "your my employer and nothing more" card. After, Logan was there with her in the delivery room, cuts the umbilical cord, six weeks of getting up in the middle of the night helping her feed, change diapers and care for the baby. Gave up his office, turns it into a nursery for the baby. He repeatedly calls the baby their baby bee, Lily never corrects him on the baby being theirs. Lily's solutions to his controlling outburst for her and the baby safety is to leave the man she loves and Hazel the daughter she loves and quite her job and moves out with one his kids and tells him the baby isn't his. She wasn't saying that when he was helping her out with the baby. Not to mention when he tries to tell her he's not controlling her he's concern and if she leaves it will destroy Hazel. She tells him how dare he use Hazel against her. Hazel goes hysterical, now has lost not one mommy but two mommies. What mom moves out and leaves a child over a man who is rightfully concern about the welfare of his family? In the end Logan of course takes the blame on himself. Which I totally disagreed with. The ending has a traditional ending of a romance book. Lily's betrayal and selfishness was so close to the end that I never really liked her the same way or reconnected with her character. I really like this book.. Lily spent years in an emotionally abusive relationship and when her husband dies in a car accident she can't help but be relieved to be free from him not just for herself, but for the baby she's now carrying. Even after spending year married to him he leaves everything to his parents and she is left with no place to live and no money. Seeing is how they are such generous people her ex-in-laws offer to buy her baby to give he/she and better life and offer her the house to stay in for a little while. She, of course declines. Going to the fire station to thank the fireman who rescued her she meets Logan the firefighter who stayed with her until she was released from the car and a single dad looking for a good nanny for his daughter Hazel. Hazel doesn't talk and suffers from trama and has nightmares. She automatically likes Lily and even after finding out that shes pregnant, Logan gives Lily the job. I love how Lily is trying so hard to be independent. She starts out caring so much for Hazel and gets her to open up and start talking. Hazel has so much personality and such a little attitude its adorable. I Love that she falls in love with Lily's baby and is always rubbing her tummy. it melts my heart when she refers to Lily as mommy and Logan doesn't even seemed fazed by it. Logan tries everything he can to protect Hazel and that protectiveness just spreads to Lily and her baby. He missed out on a lot of things with his wifes pregnancy with Hazel and being around Lily he realizes this. He falls in love with Lily, but she can't stop remembering the things her ex husband told her and doesn't see the love he has for her. its also hard for her to let herself be loved by him. They eventually get there though. 3.0 out of 5 stars1 Para. Review: "A Home for Lily"
This was the kind of book that makes me angry when I finish it. Because, I feel like the author cheated me. She spends most of the time building, rather successfully (despite the wealth of common tropes), to an emotional climax. Then she gets jaw-droppingly lazy and takes the easy way out. I was cheated and I felt like her characters were cheated. The hero and heroine were not necessarily original, but Ms. Kelly did a really nice job in how she voiced them. This was especially true for the heroine, Lily who turned out to be much more than the defeated mouse we first met. It just made it all the more frustrating when there wasn't any attempt to really explore how the two lead characters came to some forgiveness and resolution. No insight for either one of them as to how and why they truly needed each other and could be good together. The author just tosses them in the middle of a catastrophe in the final chapter to throw them back together, and she was done with it. No heartfelt pay off. No nothing. Even the Epilogue was lazy. It's too bad, because she was on a nice roll. It was such a let down that I would not be in a rush to let Ms. Kelly do that to me again. Sorry. Yes, it was OTT sweet, a little sappy and at parts....SAD.....but roll this all together with off the charts sexiness and chemistry????? *Siggghhhhh - lovely. The h is OTT innocent, sweet, naive. The H is Alpha, possessive and a single parent. The story was, again, sweet and quick paced. I totally recommend this read for something light and airy. This was a sweet straightforward story. Logan was wonderful. Lily was in the right place at the right time to become Hazel's nanny. The course of the story was straight and rewarding.